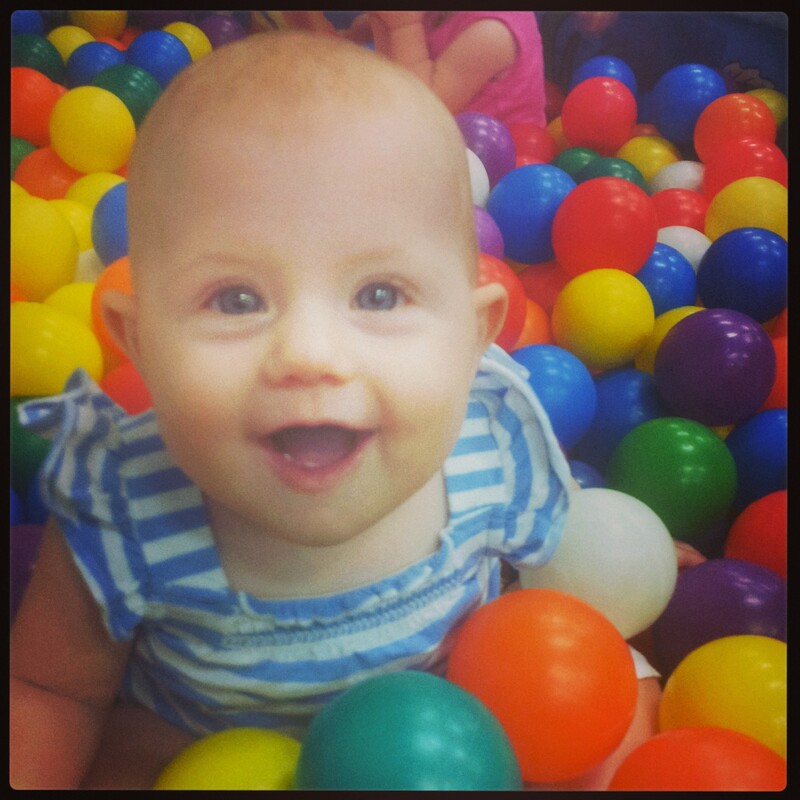 Does anyone else feel that children’s indoor play centres are just cesspools of germs? Maybe it’s just me… Anyway, when I was trying to come up with a snappy name for this post, I failed. I did think of this awesome photo though. Bazinga! Holy exploding ovaries Batman! There is a point to this rambling, I promise. While TDS may have gone quiet, I’ve been like the proverbial swan on the water – serene on top, madly paddling under water. The ol’ blog has had a facelift, and I’ve been stepping out of my comfort zones and taking on lots of new things before I return to work in October. One of the exciting things I’ve done recently is pattern test for the lovely Jess at FLOSStyle, a great Australian pattern designer. What on earth is a pattern tester you ask? Well, not surprisingly, it’s a person who tests patterns before they get released. We proofread and subject the patterns to the idiot test. 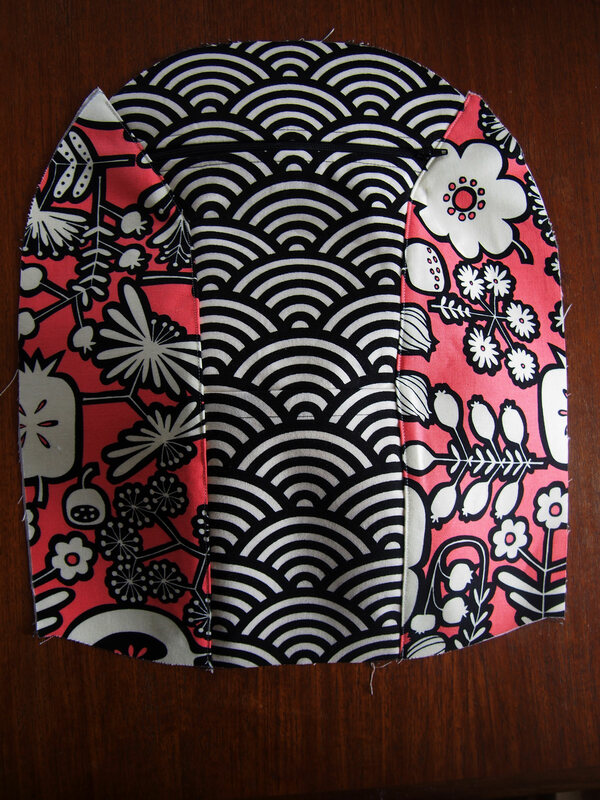 While you don’t get too much choice in what patterns you work with, it’s awesome for sewing outside your comfort zone. I made a backpack! I feel like a sewing superhero! When I saw our first test pattern, my heart sank. It was a for-real, multi-pocket, fully lined, full-sized backpack with adjustable straps. Crap. It’s all good and well to step outside your safe zone, but feeling like you’re out of your depth is never a pleasant experience. I took the bull by the horns and started cutting out what felt like a million pieces (well, more like 20ish, but who’s counting?). And then I followed the instructions, step by step. And wouldn’t you know it, I made a backpack. 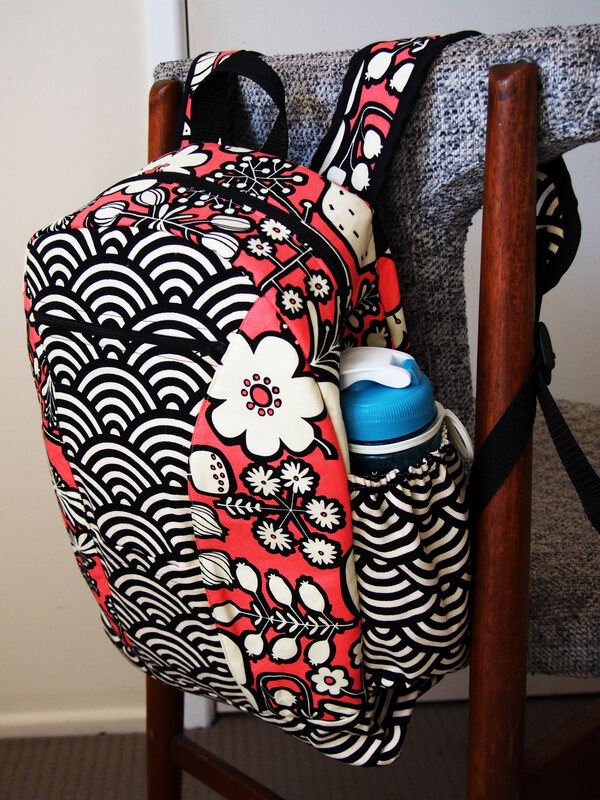 The Bazinga is fully lined, with lots of optional pockets, and while that may sound complicated, the way it’s constructed means that ‘tricky’ sewing is limited. There are quite a few spots where you need to sew around a curve, and if you choose a heavier fabric (I used a buzoku canvas from Spotlight), wrangling it through the machine can be a work out. Ooops, didn’t use up the seam allowance, need to do some trimming. Did you see my awesome pattern matching on the lower pocket? Can you even see the pocket? That’s pattern matching like a ninja! Clover clips were my best friend, and although it can be tedious, some basting by hand can also help you get a really nice, accurate finish. 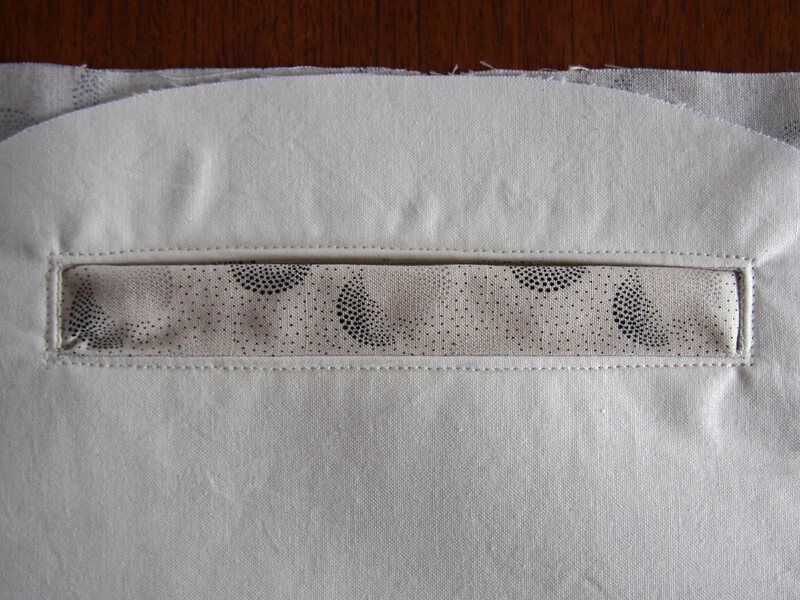 I was also used less seam allowance when constructing the front, which necessitated some trimming down the track, so accuracy is definitely important for this pattern. Clara is going to start the occasional day at day care in the next few weeks, so this will probably be her day care bag *sniff, sniff*. This isn’t a quick sew, but it is surprisingly easy. Give it a go if you’re sick of having to replace school bags every term. 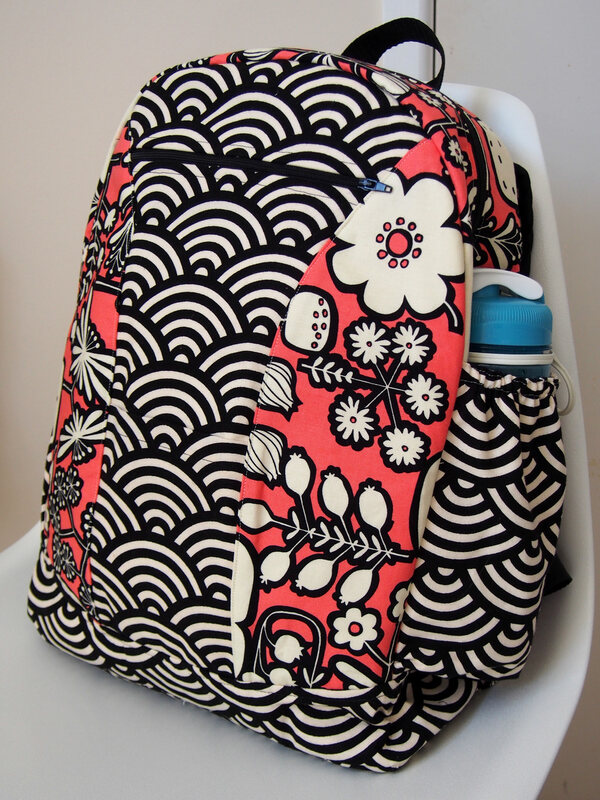 I have a neighbour who also sews, and she uses broken bags for parts – clever! I love this! It’s so clever, and looks so professional. Well done you! Thanks! It’s an awesome pattern – lots of photos and really easy to follow. Highly recommend it. You are a sewing guru, this is amazing, I love the fabrics choice & want one in my life!